In a large bowl, combine 1 cup flour, yeast, sugar, 2 tbsp butter and 1 1/3 cup water. Let stand for about 15 minutes until bubbles form. Stir in salt and remaining flour and form a ball. Knead for about 8 minutes on a counter or bench top until smooth and elastic, adding extra flour if needed. 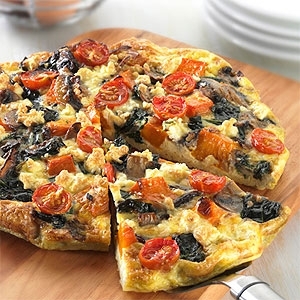 Divide the dough into 6 pieces and let them rest for a few minutes. 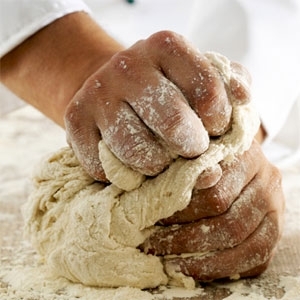 Using one piece at a time, roll out dough into about 40 cm long ropes. 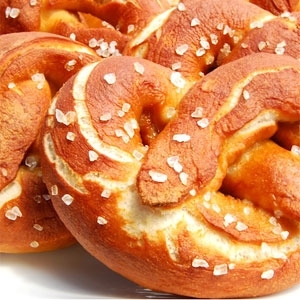 Loop and twist into a pretzel shape, setting onto a baking sheet. Preheat oven to 220 degrees celsius. Bring remaining 3 cups water to a boil and add baking soda before removing from heat. Dip each pretzel into the water for about 45 seconds, flipping halfway through. Place pretzels onto greased baking sheets, brush with melted butter and top with course sea salt.